The cover is in the form of a jacket and is decorated with laser cut-outs resemble lace. 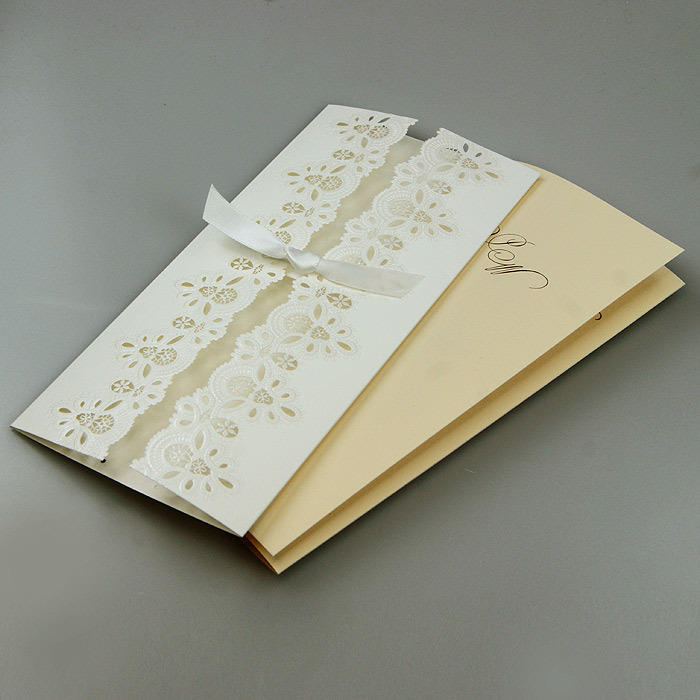 Some of the elements are also decorated with pearl foil. The text is printed on ecru matte paper. 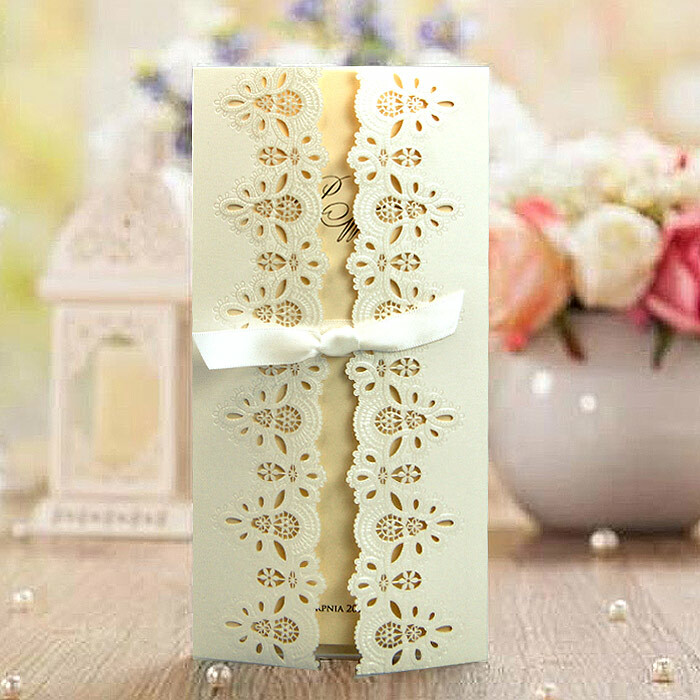 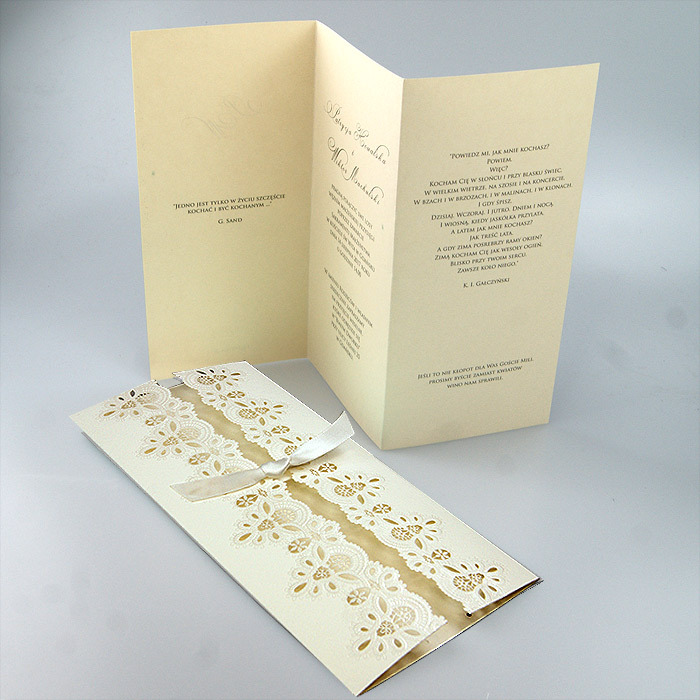 The whole invitation is decorated with a satin ribbon. 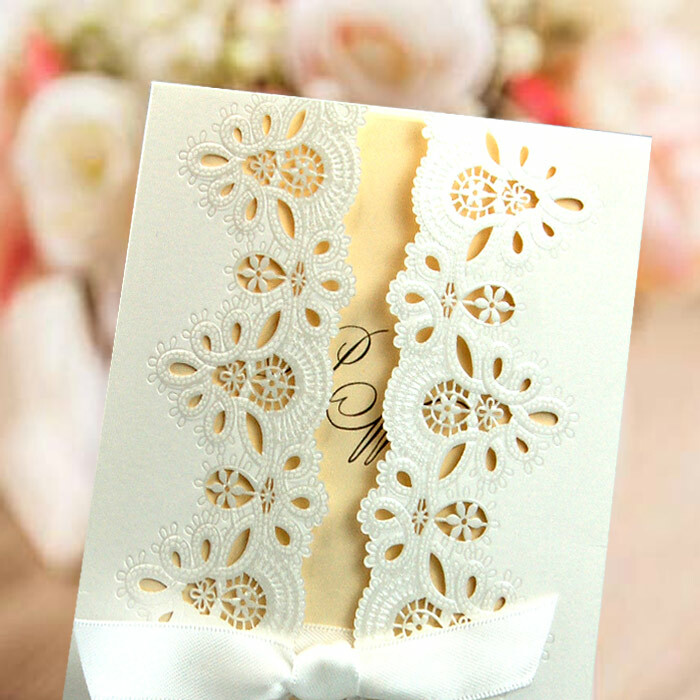 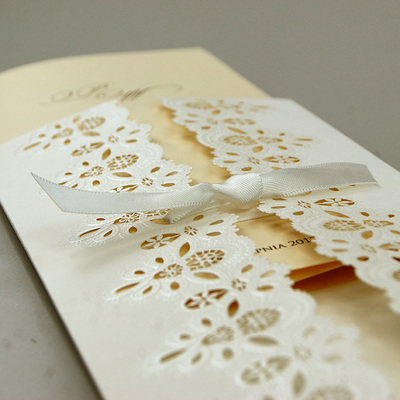 The invitation made with great care and attention to detail. A precise print, careful production, and high quality paper.